Cultivating a habit of observation. Grilling on Fourth of July? Try lemon balm pesto. This week, I will share some of the plants I’m trying out in my garden for the first time. 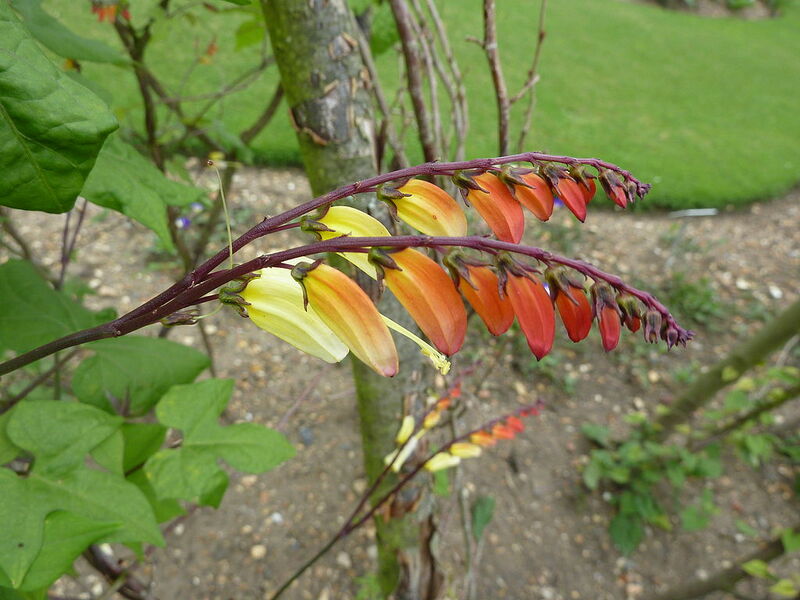 Mina lobata uses numerous aliases, including firecracker vine, Spanish flag, and exotic love vine. This sun-loving annual grows quickly to 10 feet long and produces lush, trilobed leaves similar to those of Ipomoea batatas, the sweet potato vine, to which it is related. 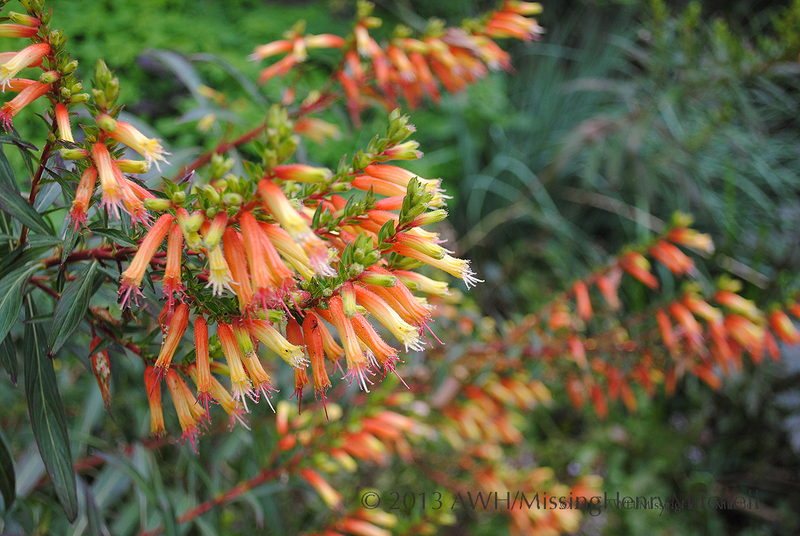 In late summer to early fall, Mina lobata produces red flowers that fade to orange, yellow, and white. Those tubular (as in tube-shaped, not as in surfer-speak) flowers attract swarms of hungry hummingbirds, so plant it where you can enjoy the show. The vine will reseed to come back year after year, but do be mindful that the seeds are poisonous so keep them away from children and pets. Synonymous with Ipomoea lobata, this plant is related to morning glories and I expect similar habits. I’ve not had much trouble with reseeding morning glories, but I keep an eye out so nothing gets out of hand. Mina lobata is said to cope well with heat and humidity, which I can guarantee in my neighborhood. I thought I first saw this plant growing at Montrose last fall, combined with Helianthus, cosmos, and other fiery flora. But upon closer inspection, I’ve discovered that what I thought I was admiring was not Mina lobata, but Cuphea micropetalum. Border at Montrose with Helianthus, Cuphea micropetalum, and orange cosmos. This is what I thought was Mina lobata. It’s not. It’s Cuphea micropetalum. Scarify the seed (scratch with sandpaper or nick the seed coat slightly) and soak in water overnight or up to 24 hours to improve germination. Sow seed outdoors after the last frost, or sow indoors and transplant after the frost risk has passed. Give its twining stems a trellis or tuteur to climb upon, or train it against a fence or wall you’d rather not see. Like clematis, its roots prefer some shade, and it likes rich soil, neutral to slightly acid pH, and moderate water. Do not overfeed Mina lobata with high-nitrogen fertilizer, or you will have lush vines and few flowers. If left to dry on the vine, the seed heads may be harvested, cleaned, and stored in a cool, dry place. 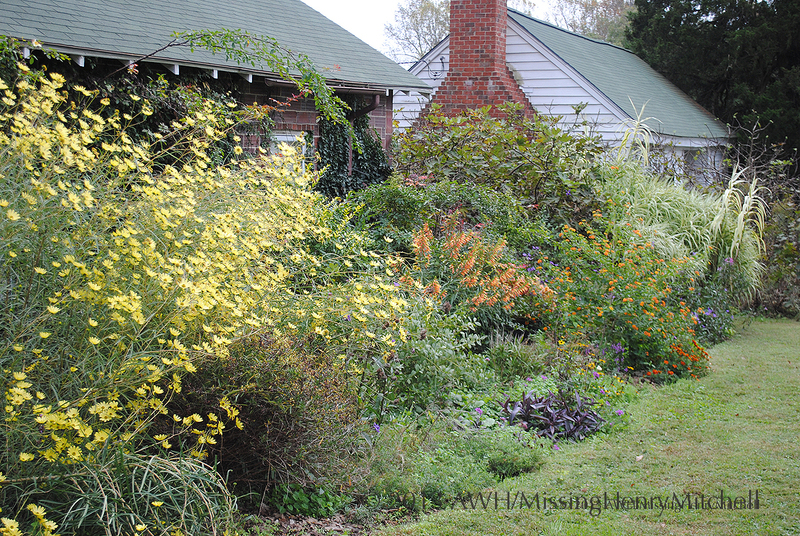 This entry was posted in 2014, Experiments (unscientific) and tagged annuals, firecracker vine, garden wildlife, gardening, hummingbirds, ipomoea lobata, mina lobata, montrose, nature, spanish flag, vines by missinghenrymitchell. Bookmark the permalink. Are you growing this from seed? I love this plant! Yes, from seed. How big does it get where you are? I have read everything from 6′ to 20′ 10 seems to be the average. Need to build some trellises before they get very big! Yes, I can’t wait to see it in action.